Though we are not at all into football this time we occidentally came right before the start of Euro 2012. My preferred option to stay in Kiev is renting an apartment instead of a hotel. There are plenty of high quality apartments to let and this way it normally turns out cheaper. You also get your own kitchen which gains a lot of relevance as soon as you visit the market. Due to Euro 2012 the prices for all accommodation around doubled, but it was still bearable and everything worked out nicely. 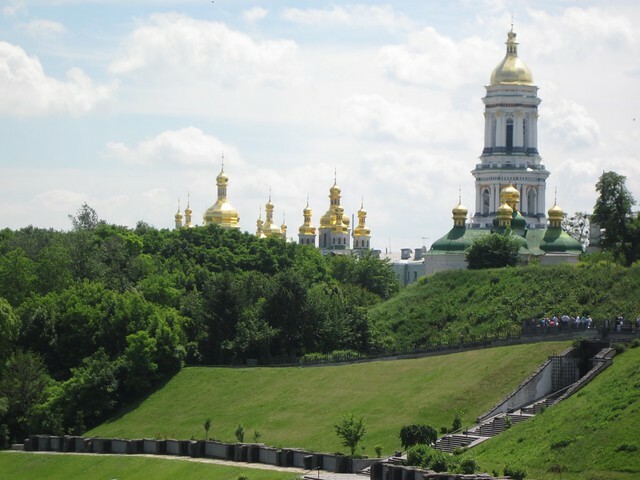 So I thought why not say a couple of words about some my favorite things to do in Kiev, just in case you are considering it. Besarabsky market is something I have to start from. This time I even booked a place to stay within a walking distance from it as I really wanted to shop for food mainly there. Locals told me they don't shop too much at Besarabsky as other markets are cheaper and have more local produce, but I still love it. The market is very old and occupies the center of the very central Besarabska square, from which you get directly to Kreschatik street. 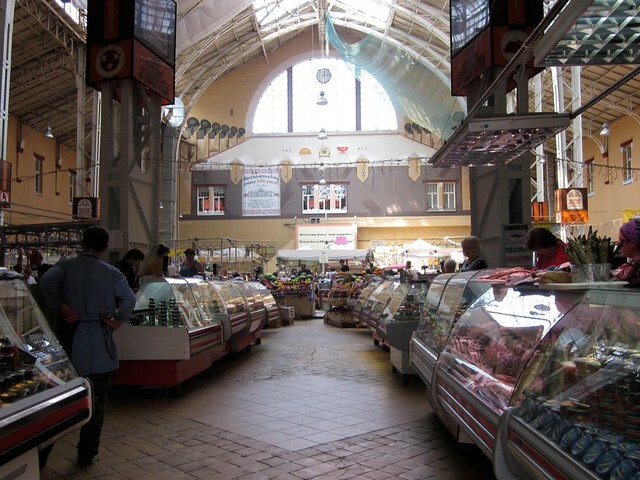 It has amazing seasonal fruits and veggies, great local diary, Ukrainian pickles and preserves, fish, meat and definitely salo or Ukrainian lard (if you are into it). 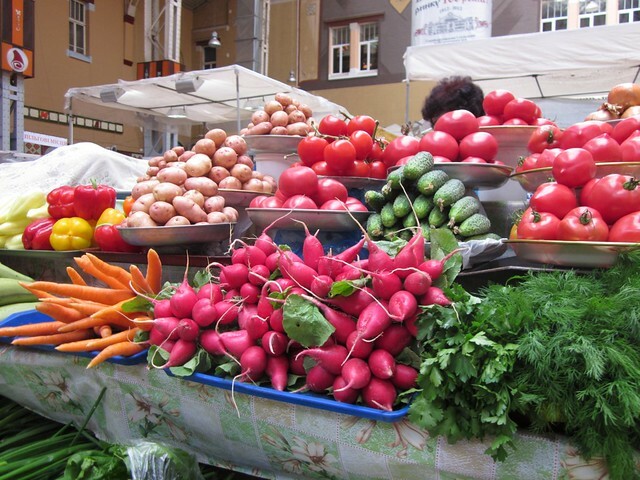 The sellers will always offer you a taste best before you buy diary, some fruits and vegetables. It is a good old tradition. It is up to you, of course, but if I may, please do not be afraid, do taste things. It is a great part of the experience. 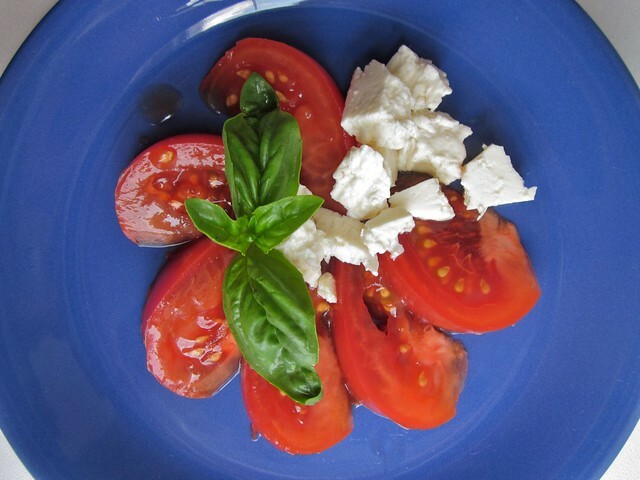 In early June we were able to buy summer tomatoes, which were extremely good. Strawberries were also great. Cherries and apricots looked like the harvest was just starting. Young potatoes and cabbage were amazing. We were lucky enough to even get some natural sunflower oil. With its amazing aroma and taste sunflower oil in the Ukraine it is like olive oil in the Mediterranean. To me it tastes especially sentimental, as it only was available to me in my childhood. Just pour a bit over your freshly boiled young potatoes, I'm sure you will understand what I mean. From local diary I'd definitely recommend cottage cheese (pronounced 'tvorog'). 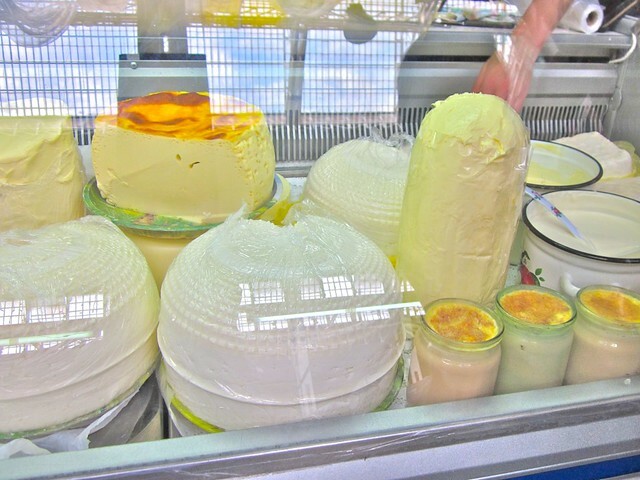 Than brynza, fresh cheese which they make, I believe, from cow's milk and which in the Ukraine is available salted or unsalted. I prefer salted, but give both a taste. If you go further with diary, try the real homemade butter and smetana (sour cream), say, as another option over your freshly boiled young potatoes. During this trip I also discovered 'molozivo', a sweet diary product made of cow's colostrum. It seems like it is somewhat unethical, but it tastes extremely good. It was my first visit to Arbequina and I was very happy that we found it. As far as I know the cafe was created and is ran by a couple: she is Spanish and he is from Kiev. Both countries are very recognizable in the menu. It offers gazpacho along with okroshka, catalan cream along with zapekanka (traditional for Eastern Europe cottage cheese cake). 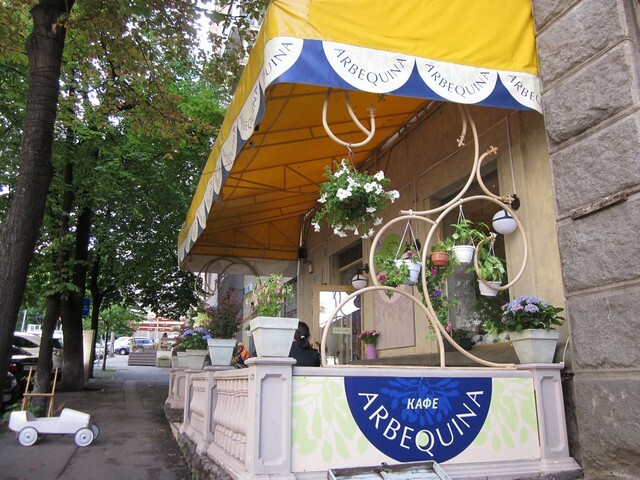 Arbequina is located right next to Maidan square, is very pretty and hospitable. Once we settled at a table we asked for wine and Spanish olives and those were so good. 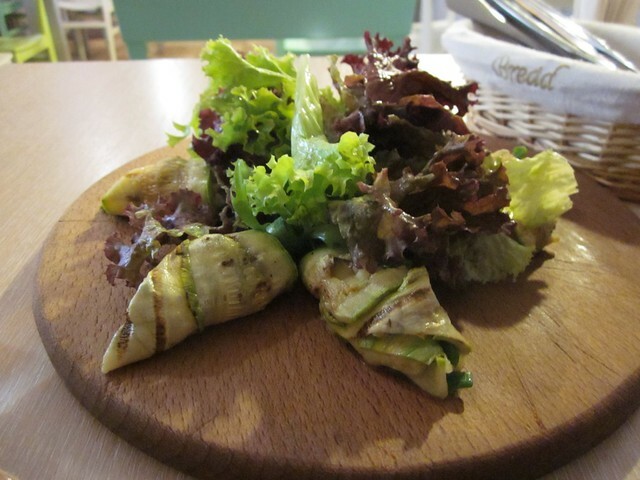 One more appetizer we had were zucchini with delicious cheese dressing. While reading through the menu I realized the place is a lot into fish. Some items (like sole or salmon) are fixed on the menu. My mother got the sole in butter lemon sauce and liked it a lot. They also offer fish of the season. 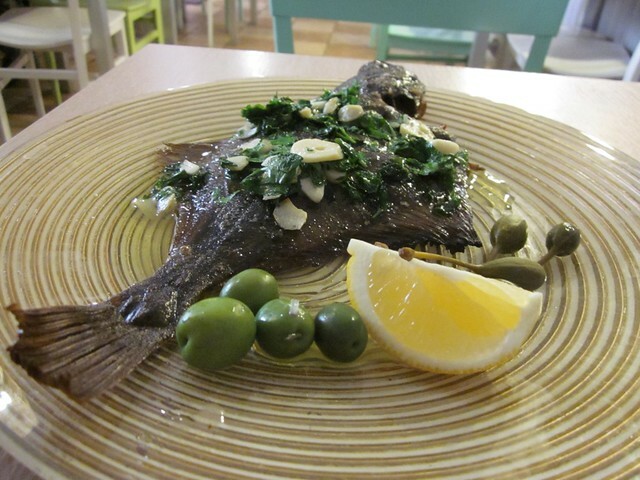 I picked moose fish which I never tried before and asked to cook it in olive oil with garlic and herbs. It was a fresh white fish, which tasted delicious to me. There were several foreign tourists having dinner next to us. Thus I noticed that Arbequina has English menu and the waiters are also speaking decent English. I wish I had room for dessert as their cakes looked extremely fresh and good, but I didn't. If you get to try one of those, please let me know how it was. 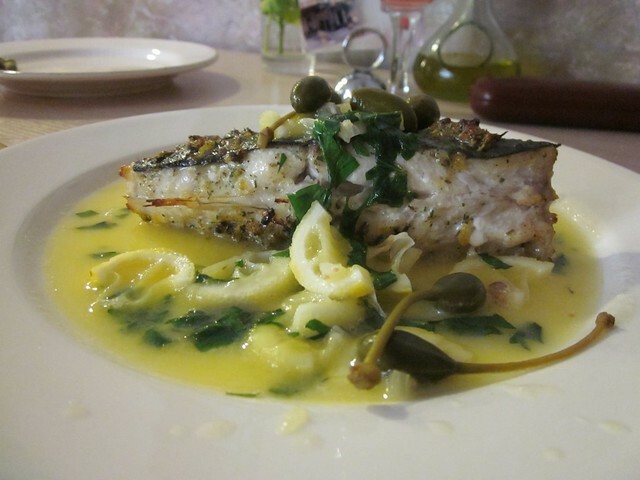 I've also been advised to visit Oliva, an Italian restaurant chain in Kiev, but didn't get to try it yet. I do love some of the Ukrainian traditional dishes, especially vareniki (Ukrainian dumplings), draniki (potato fritters), borsch and galushki (Ukrainian gnocchi). If you haven't tried, I'd also recommend syrniki (cottage cheese fritters) and zrazy (potato croquettes stuffed with mushrooms or meat). 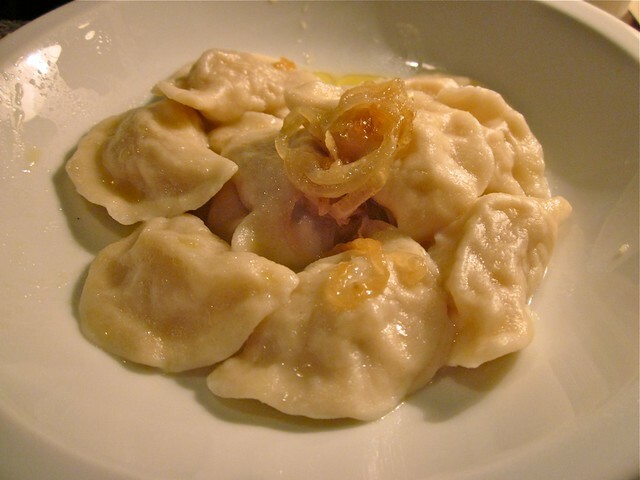 Vareniki are made with lots and lots of different stuffings. If you feel lost, be sure to try savory vareniki with mashed potato (have them with sour cream) and sweet vareniki with cherries (yes, also have them with sour cream and honey optional). This time I was unable to find a Ukrainian place to make me 100% happy, but Varenichnaya on Khreshchatik is a very decent one. Do not confuse it with Varenichnaya #1 though, which is a complete different place. Borsch with mushsrooms was not bad. I also got 'green borsch', which I happen to love too. It is another vegetable soup with spinach and sorrel, very much worth trying. It was OK at Varenichnaya on Khreshchatik, but nothing special. Vareniki with mashed potatoes were good. Zrazy stuffed with veal were really really good. 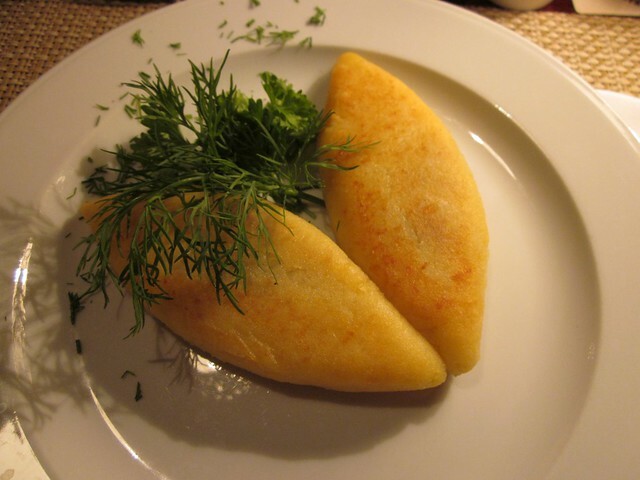 There is also a nice casual Ukrainian food chain around Kiev, which is called Puzata Hata. It is a free float canteen, but the food is quite decent and it is nice inside. It is a good option if you are hungry and on the run. And I do think that their cabbage salad is lovely. Speaking about coffee and sweets we found a place I really enjoyed right next to Andriyivskyy Descent end. Another branch is at Maidan square. Kaffa is very comfortable. Good quiet music, good style in interior and service. First you select the region (they offer quite a wide choice from Jamaica to Australia to Ecuador to Kenya to India). Then you select your preferred ceremony: espresso, cappuccino, Turkish coffee (prepared in narrow topped cezve on the hot sand), French press or geyser. Then you get it served in good white china with very good brown sugar. 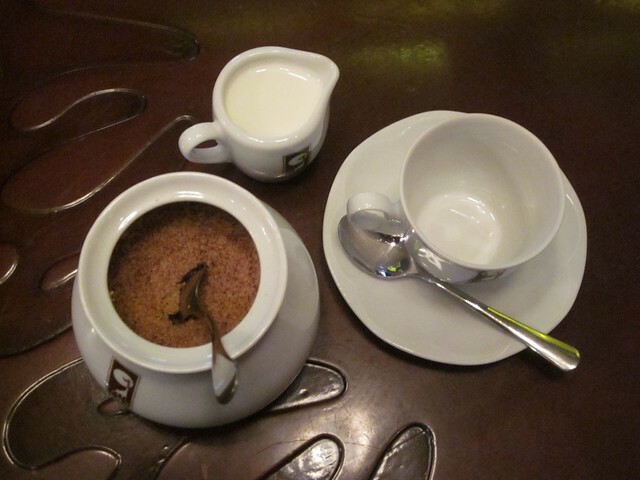 You may also go for one of the options of coffee with spices, which I did. It was geyser coffee with cardamon, cinnamon and citrus peel and I really enjoyed it. There are some nice looking desserts on the menu too. We only tried strawberry sorbet, which was fine. From other coffee places a local guide also suggested Repriza cafe and Lviv handmade chocolate shop, which we didn't get to try this time. you make me travel like in a dream Maria!!!! does Besarabsky mean the Best of Arabian? I've been following your entries on the cooking group at LiveJournal for ages, but just found my way over to your blog. Already a new favorite, and I've told my favorite cooks about you! Thanks so much for the wonderful site. You don't know how helpful this will be! I'm heading to Kiev next week and could barely find any good info on the food scene (in English). Will definitely be trying out your recommendations, thaaaanks! !